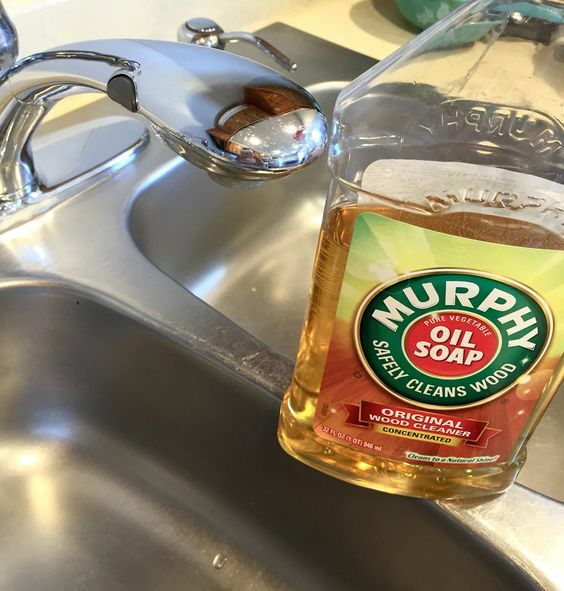 If you don’t currently use Murphy Oil Soap, it’s probably one of those staple cleaners that you at least saw around your parents’ or grandparents’ house. It’s been around in some form or another for more than 100 years, so its effectiveness is unquestionable. But you can do so much more than clean wood floors with it. 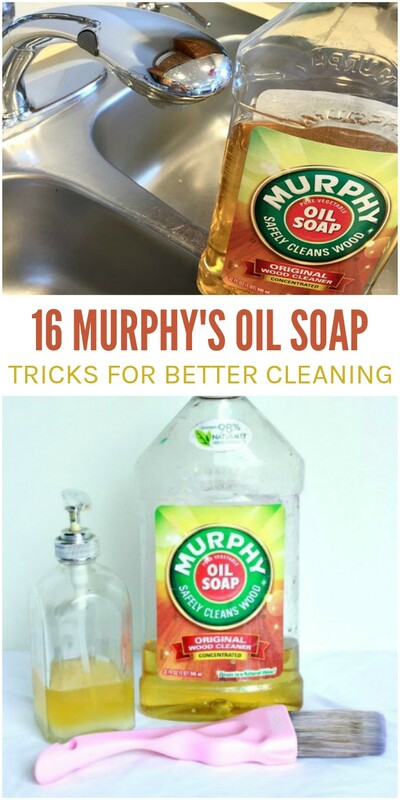 Here are 16 Murphy’s Oil Soap uses you may not have thought of before. Do you have a dried paintbrush that’s now petrified because you let the paint dry on the bristles? 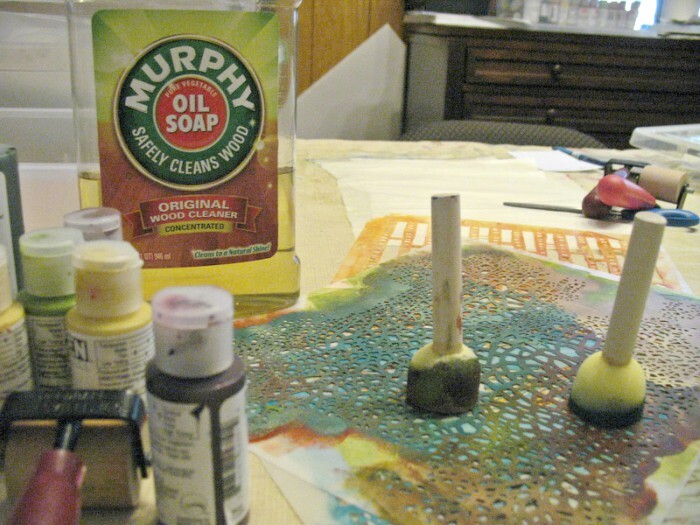 Soak it in Murphy Oil Soap for 24-48 hours to dissolve the paint and soften the bristles. If you’re remodeling and doing lots of painting, you may want to take a page out of this clever woman’s book. 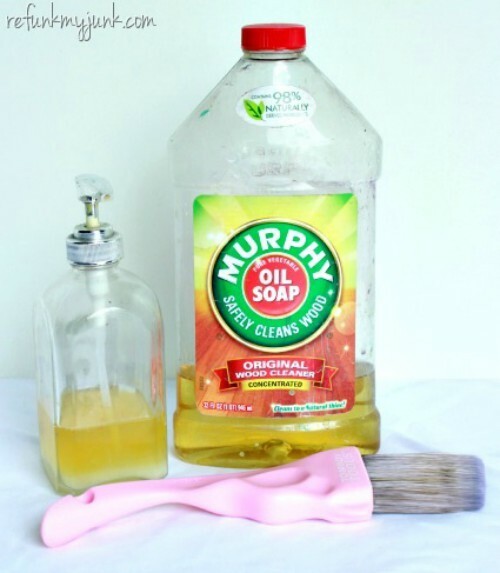 She keeps Murphy Oil Soap in a soap dispenser by the sink to wash her brushes out quickly after each use. Clean wooden cabinets inside and out with the best cleaner for the job. 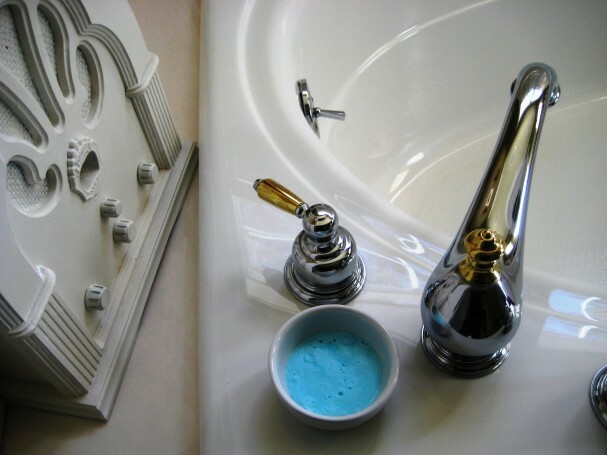 One lady learned from a jeweler years ago that the soap was great for cleaning jewelry. 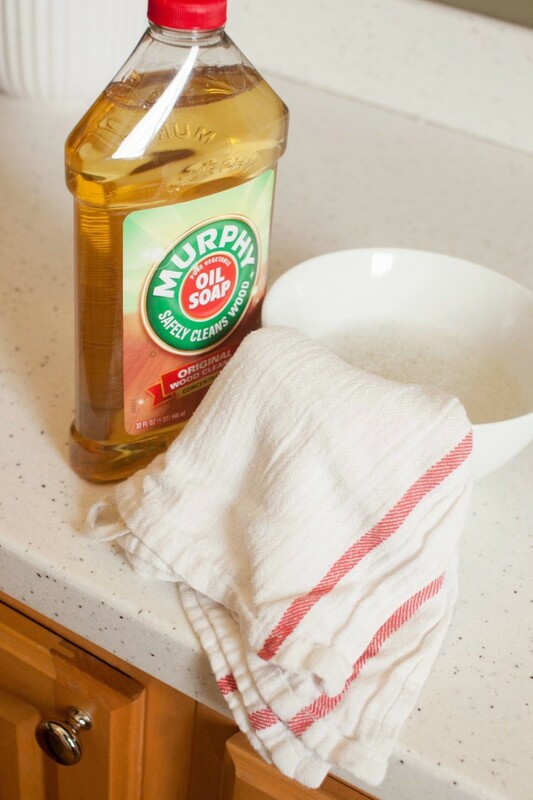 Make your own insecticide by creating a white oil out of Murphy Oil Soap and mineral oil. 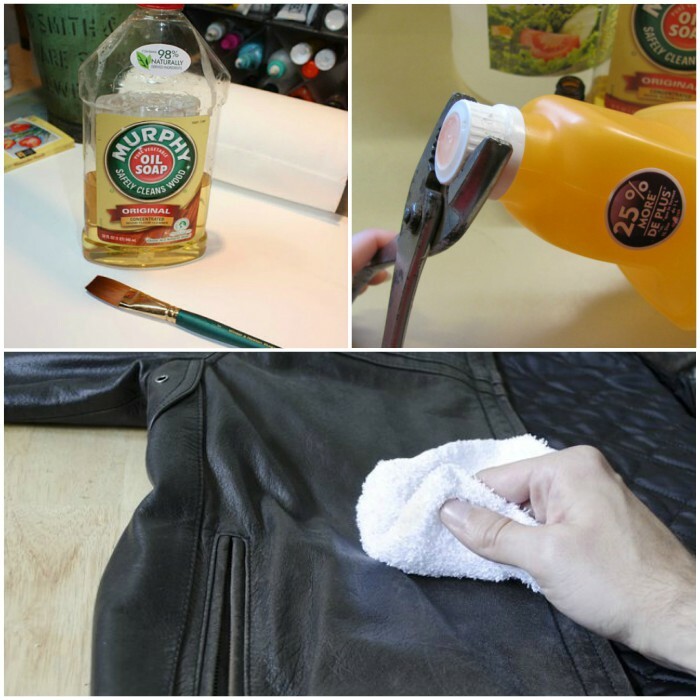 Did you know you can use it to clean leather? It doesn’t stain leather fabrics the way some other soaps do. 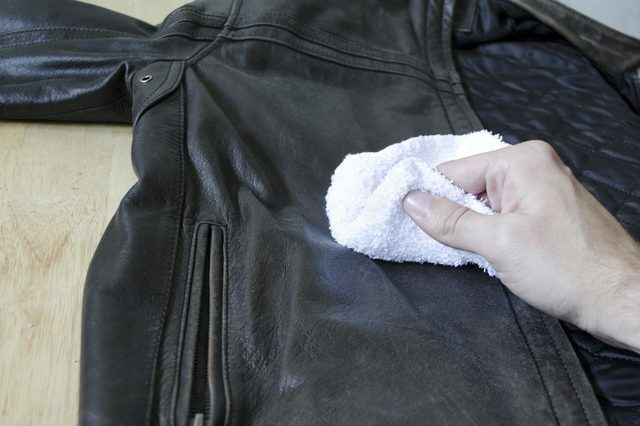 Just make sure you dry the leather with a towel after cleaning to prevent the material from soaking up too much water. 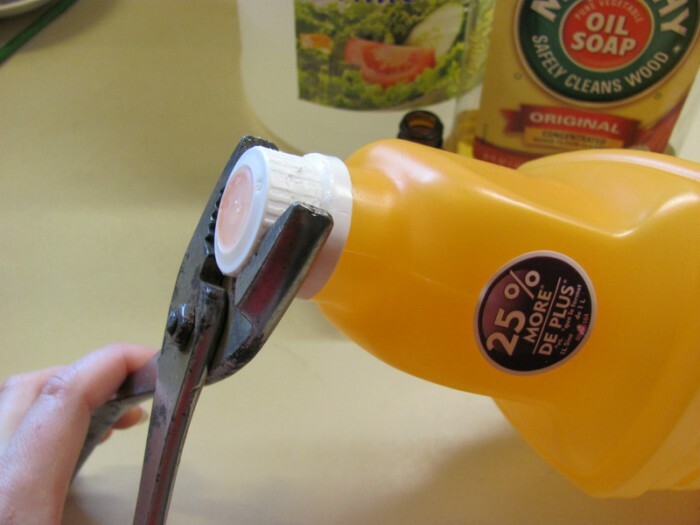 Save loads of money by making your own Swiffer Wet Jet refills. 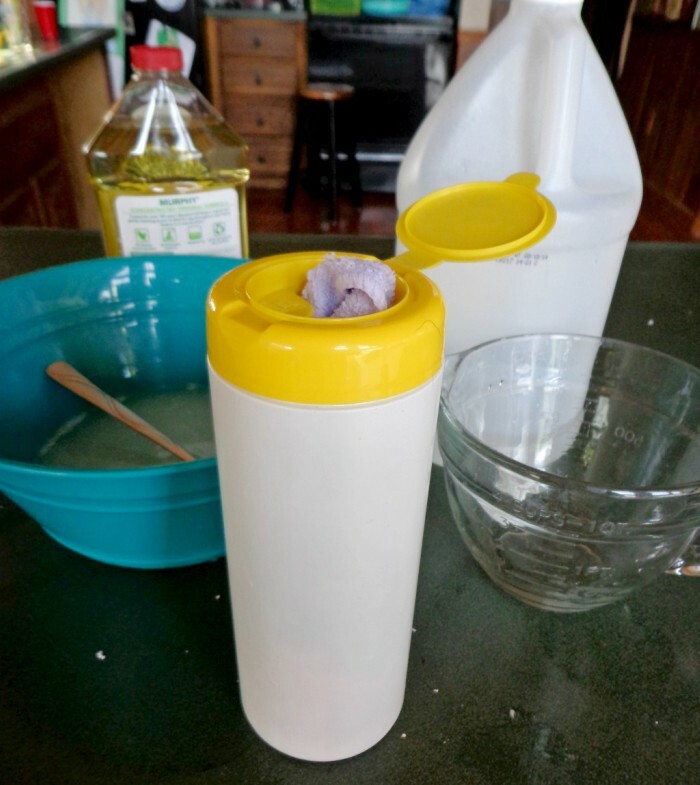 Here’s a recipe for an antibacterial formula using our favorite soap, vinegar, tea tree oil, and water! 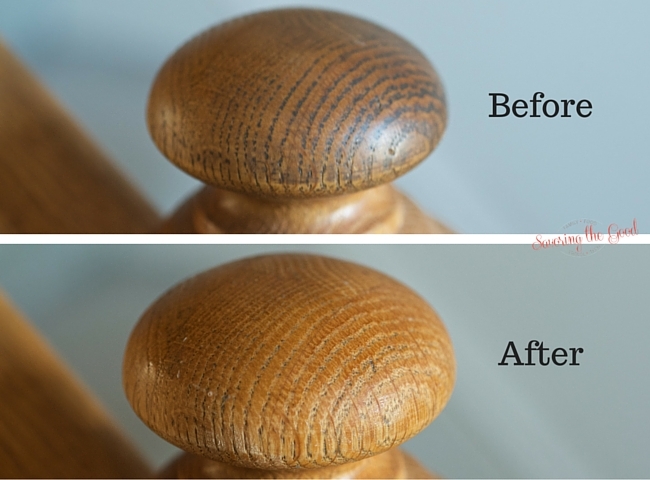 Clean up sticky wooden banisters on the stairs. You know how icky those things get in humid weather. Well, this is the cure! 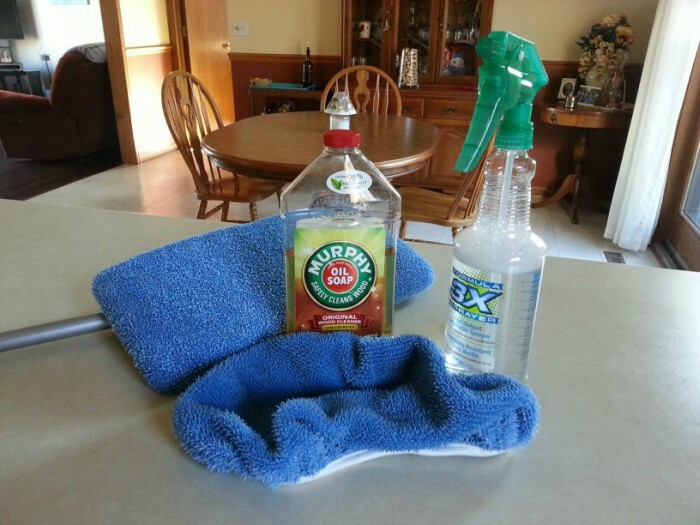 If you’re looking for greener cleaning solutions, you can’t go wrong with homemade cleaning wipes. 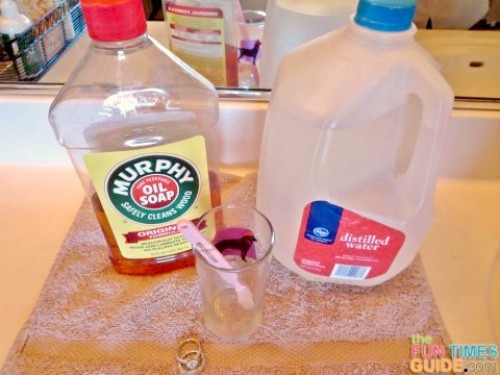 You can use either Murphy Oil Soap or Castille Soap. 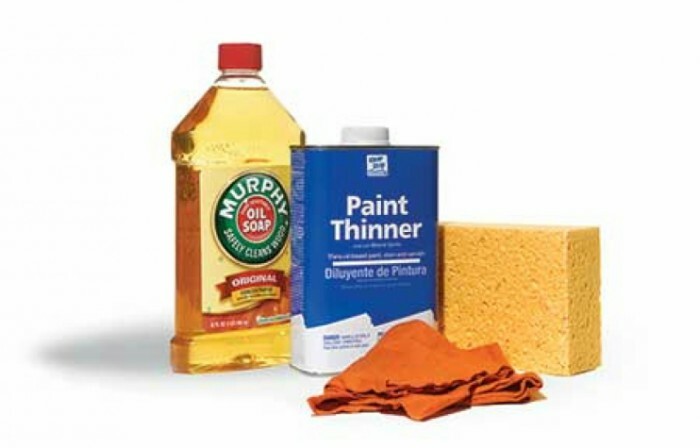 Remove grime on clear wood finishes by mixing equal parts soap and paint thinner. The paint thinner will likely remove a thin layer of the clear finish that has melded with the grime. Make a DIY soft scrub that works great on sinks, showers, and tubs. 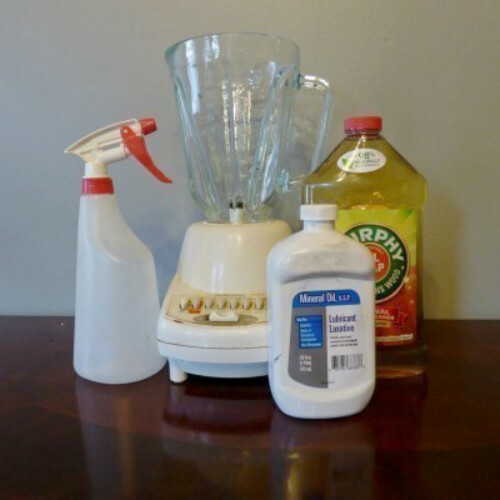 You only need 2-3 ingredients for this simple homemade cleaner. Accidentally use permanent marker on your dry erase board? Or perhaps your dry erase markers just don’t erase like they’re supposed to? 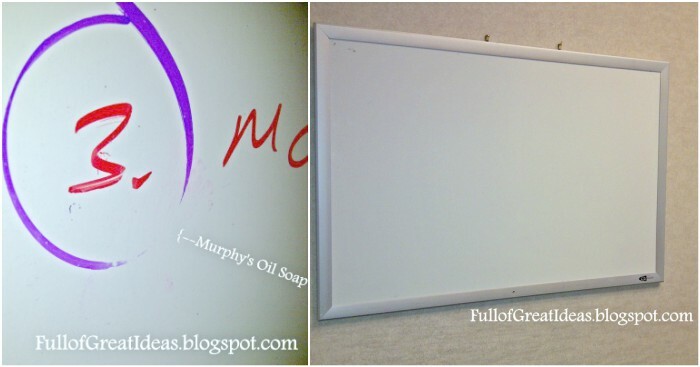 Try a combination of Murphy’s and a magic eraser to clean your dry erase board. 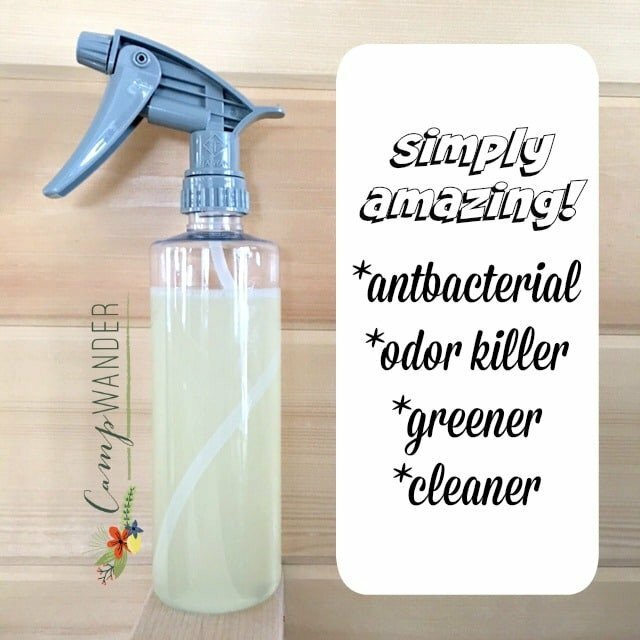 Soap, essential oils and warm water are all you need to create a great-smelling all-purpose cleaner that smells even better than Febreeze. 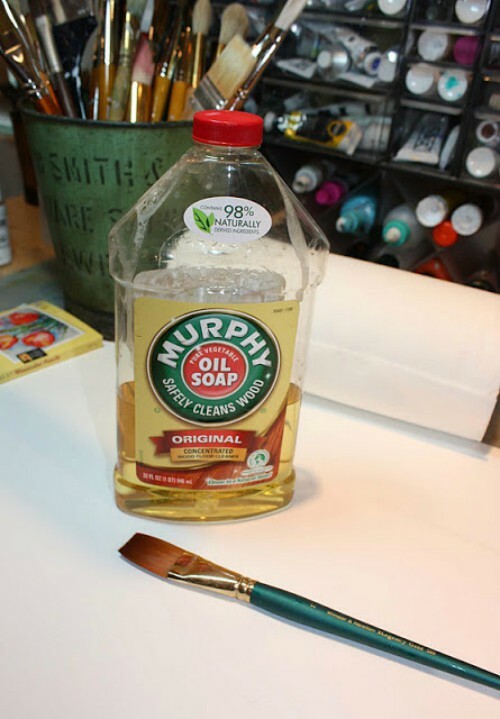 If you’re the crafty type and use stencils in your projects frequently, Murphy Oil Soap will clean the paint off stencils in a pinch.